N From newspapers we read every morning to the magazines we read in leisure time, from the story books we read, to the diaries we use to write, each and everything is made of paper. Every year, in India, an individual consumes ten kilograms of paper due to which thousands of trees are cut in order to produce paper. In our country, 25 per cent of landfill wastecomes from paper. Considering the amount of waste we generate every day and how it is affecting the ecology, 37-year-old Sudha Singh from Noida decided to unburden the landfills by managing the waste effectively. For the same, she initiated Wasteroots, a social enterprise and started gifting plants in exchange of paper waste. In 2016, when we shifted from Delhi to Noida, I realised that in our society we don’t have a proper waste management system. In Delhi, we used to have a door-to-door garbage collection van through which we were able to segregate waste. But here in Noida, our waste is collected together as a result we are unable to segregate waste at source, recalls Sudha Singh while speaking to NDTV. Sudha, who was on a break from her 13-year-long career in corporate sector to focus on her son, decided that she needs to do something. She needs to motivate people and local authorities to segregate waste at source. For the same, the waste warrior approached municipal corporation, Noida authority, pollution control board and talked to them on how waste segregation can be implemented, why is it not implemented in different areas of Noida. Everytime I approached someone from the bureaucracy, they used to dodge away the issue. I was told that waste management sector is not safe and I should not focus on this matter and move ahead, tells Sudha. Determined to change the waste management system in Noida, at least in her society, Sudha decided to do something on her own. 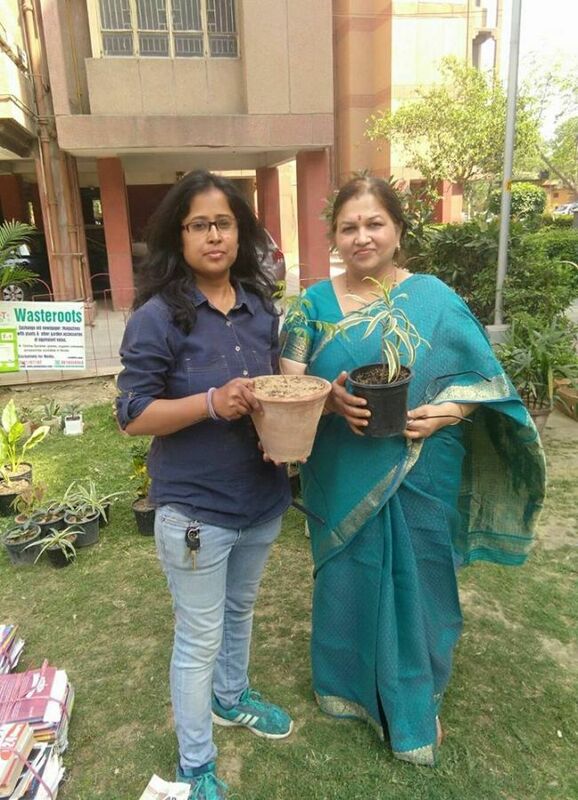 Apart from waste management, Sudha’s concern was lack of tree cover in Noida. She combined the two things, prioritised the waste and initiated Wasteroots, under which she gives plant in exchange of paper waste. In Noida, number of apartments is inversely proportional to number of trees. The continuous rise in number of high rise buildings has led to decrease in number of plants. Also, paper and plastic covers major share of waste generated on a daily basis. I combined two things and decided to give plants in exchange of paper waste. The reason behind gifting something in exchange of waste is that it is not easy to change the habit of people unless you give them something, tells Sudha. Usually people collect newspapers, old textbooks, notebooks and other paper waste and exchange it with scrap dealers for a sum of money and same was the case with people of Noida. 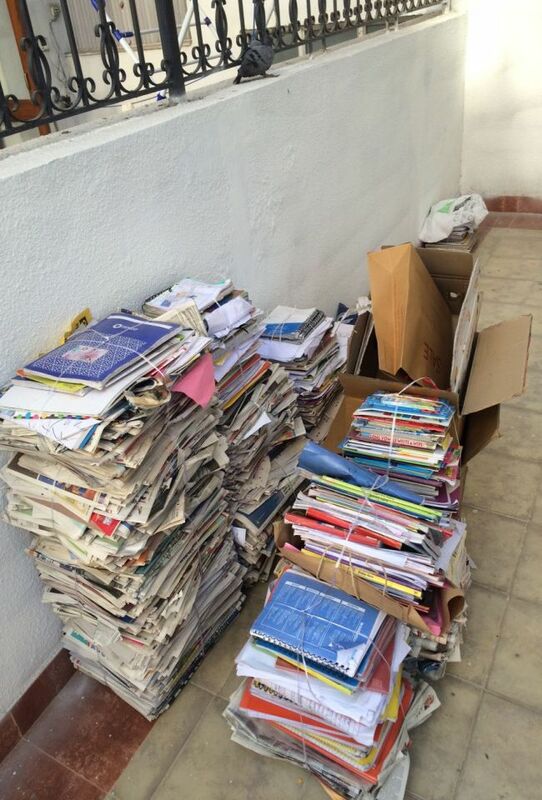 But, with Sudha’s initiative, people have started saving paper waste for a plant. One can either raise a request or drop the waste at our doorstep. But we go for collection only when we have 15-20 sellers from that particular area. Once the waste is collected, I send it to paper mill against a particular sum of money. 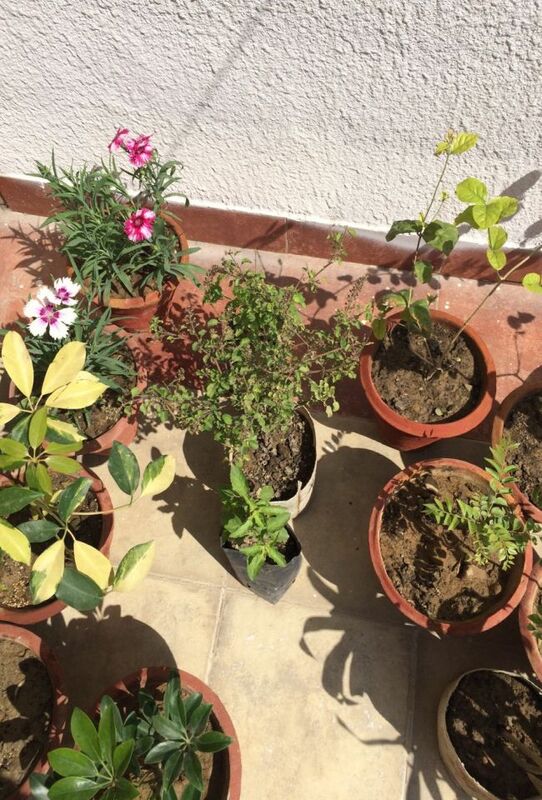 Coming to gifting plants, ten kilograms of paper waste is equivalent to Rs. 100. Say, you have got 15 kgs of paper waste, you can take a plant/plants costing up to Rs. 150. We have got a complete product line of plants and pots and an individual can purchase a plant according to their needs. 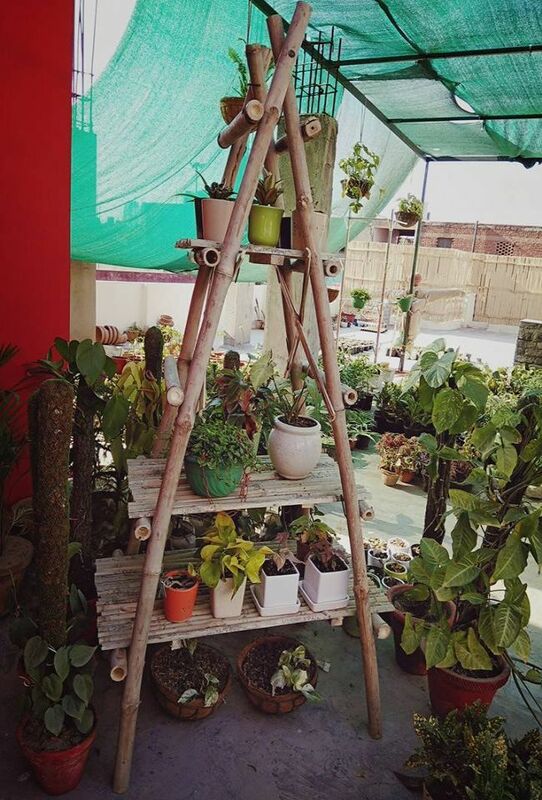 Like, if you have small balcony, you can take hanging plants, if you have sun-facing house then you can take plants like hibiscus. 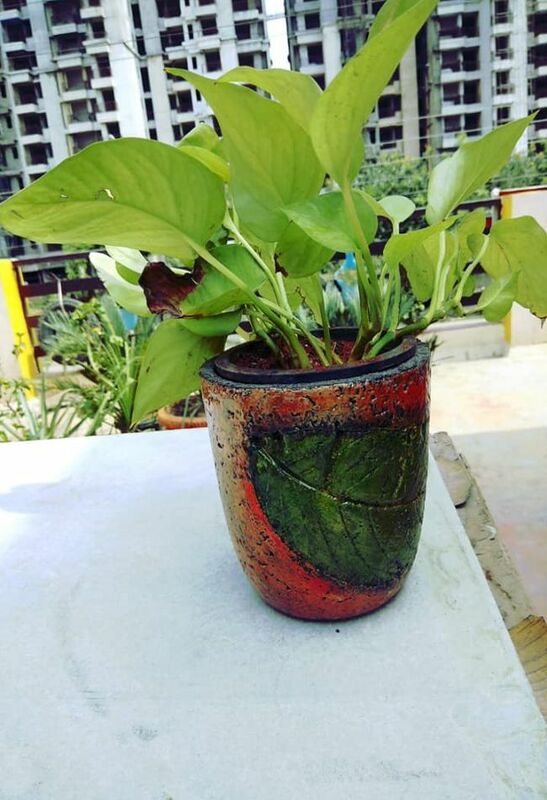 From ceramic to clay to pots made using recycled paper mashed pots, we have a variety of pots and plants as people look for beautiful, exotic plants. As of today, Sudha has sold 10,091 plants and recycled 68 tonnes of paper waste. She has 100 regular customers from 30-35 societies in Noida who provide paper waste every month. Initially, she used to encourage people by saying that she will collect the waste from them only when they will convince at least 10 more people. Currently based in Noida, ‘Wasteroots’ got registered in December 2016 and it is then Sudha received tremendous number of calls from Gurugram, Delhi, and other parts of the country. Unfortunately, Sudha had to say no to each one of them because to reach out to thousands of people living in different parts of the country, you need infrastructure and government support. Sudha aims to expand the reach of her social enterprise and cover other kinds of waste also, with the help of numerous stakeholders. Sudha’s priority was both paper and plastic waste, but initially she is working only with paper waste, reason being, plastic is voluminous to carry and for plastic waste, you need infrastructure, logistics, and other things. She took a 15 days trial to understand the challenges associated with managing plastic and then decided to stick to paper waste for now. Without the support of government, individuals and corporates, we cannot take this forward. Though people have come forward to volunteer, but then too we are able to cover only Noida and have collaborated with some schools, colleges and corporates. I appeal to people to come forward and take responsibility of their waste, signs off Sudha. Previous Post: Meet This 36-Year-Old Waste-Warrior From Hyderabad Who Knows How To Cut Down On Garbage. 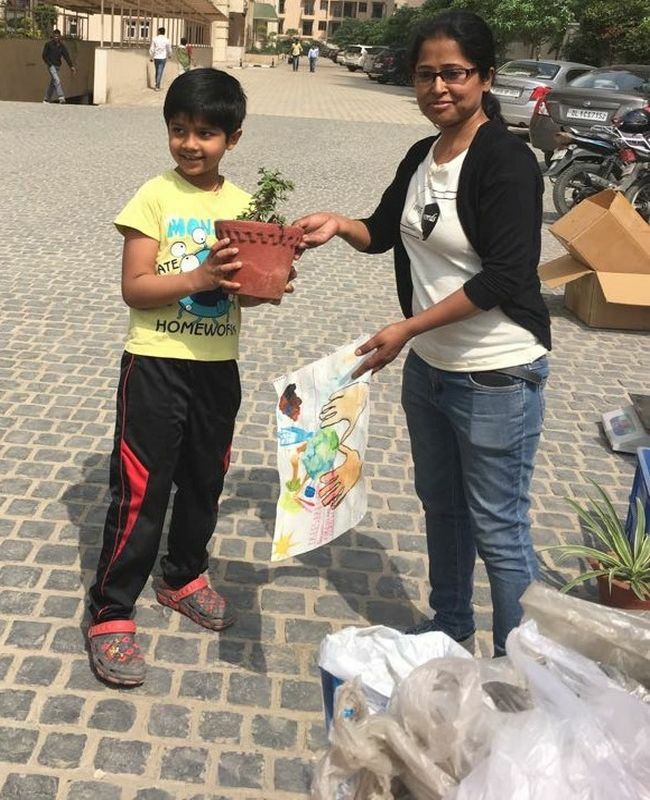 Next Post: Every Contribution Counts: This Woman From Gurugram Starts A ‘Steel Crockery Bank’ To Reduce Plastic Menace.